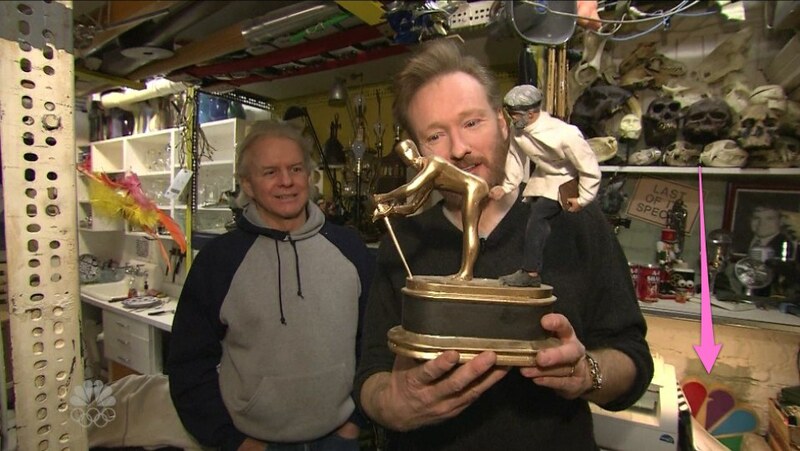 With no writers, Conan O'Brien is being forced to do things on camera such as going to the NBC prop department and breaking valuable artifacts. On Friday night's show, while he was examining an Oscar getting a prostate exam, I couldn't help but notice one of the items on a shelf behind him. Yes, it's 1993-94 1-Red favorite Polly the NBC Peacock, unceremoniously shoved behind a laser printer.